“Quick in his town will become a Muslims-only hangout, preventing ethnic groups from mingling. On top of that, “It’s stigmatizing,”—-what an idiot!!!!! 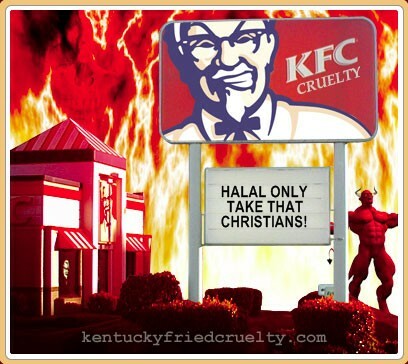 Muslims cannot eat pork—but non-muslims CAN eat beef and turkey..halal or otherwise…..if it is stigmatizing to not offer food everyone can eat!!! !then offering pork IS stigmatizing as it excludes those who cannot eat pork. Oferring beef, chicken or turkey creates a space for everyone, muslim and Non-muslim to eat together!! !